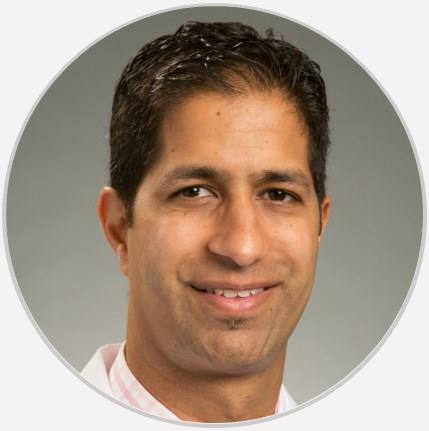 Dr. Rajeev Valvani is a board-certified physiatrist specializing in non-operative treatment of the spine and sports-related musculoskeletal injuries. Procedures performed by Dr. Valvani include epidurals, facet joint and medial branch blocks, radiofrequency ablations, joint injections, PRP, and musculoskeletal ultrasound. The reviews listed below were collected independently of Pinnacle Orthopaedics through rater8. Each review represents an authentic and verified patient experience. Great bedside manner. Highly recommended. Slam dunk choice. Dr Valvani is knowledgeable, skilled, personable and caring. I have faith in his treatment. Knowledgeable, considerate, and willing to work with you. BZ !!! Excellent Visit and made me feel comfortable. Dr. Valvani is awesome. he listens to get an understanding of my needs and can immediately see when my pains are so bad. I trust him and hope he never goes away. Dr. Valvani has been treating me for two years & has always provided me excellent care. He definitely has your best interest at heart in helping you with back pain/injuries. Great and very good communication skills.